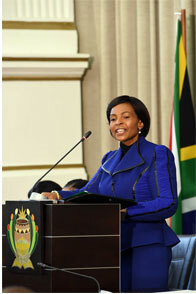 On 22 July, the Minister of International Relations and Cooperation, Maite Nkoana-Mashabane, delivered her Budget Vote Speech in the National Assembly, Cape Town. The Minister reiterated that South Africa’s foreign policy was driven by the vision to achieve an African continent that was prosperous, peaceful, democratic, united and assertive in defence of its interests in world affairs. “The continent is currently engaged in extensive consultations on its vision for the next 50 years, known as Agenda 2063, under the theme “The Africa We Want”. This vision, which is expected to be adopted by the January 2015 Summit of the African Union (AU), spells out the aspirations of African people across all sectors and the pledges of our leaders which are translated into a “Call to Action” comprised of a 10-year action plan that will contain flagship projects. “Our approach to South-South Cooperation in the next five years must be anchored on South-South fora like the BRICS, IBSA and FOCAC and multilateral bodies such as the NAM and the G77 plus China, as well as the network of bilateral relations we have established with countries of Asia and Middle East, and Latin America and the Caribbean. The key elements of this cooperation are the promotion of political and diplomatic relations, enhancing trade, investment and other economic relations, and collaboration on global issues for a better world. The Minister emphasised that the restoration of lasting peace in the Middle East was in South Africa’s interest. “Our partnership with the countries of the North is another pillar of our foreign policy that we will continue to expand in the next five years, through our relations with Europe, North America and Japan. “We look forward to the US-Africa Leaders’ Summit, and our Strategic Ministerial Dialogue with the United States of America. “Over the next five years, we undertake to strengthen our existing political and economic relations with Europe, including with the strategic formations of the North such as the European Union. In this regard, we welcome the conclusion of the Economic Partnership Agreement negotiations between our region and the EU. “South Africa’s multilateral activities are inextricably linked to South Africa’s own domestic priorities and those of the African continent. South Africa’s multilateral activities are inextricably linked to South Africa’s own domestic priorities and those of the African continent." In this regard, the key priorities for the next five years include the reform of the structures of global governance, the conclusion of two critical negotiations in 2015 (United Nations Framework Convention on Climate Change and the Post-2015 Development Agenda); to continue to fight for the Durban Legacy that came out of the 2001 World Conference Against Racism that we hosted in Durban; to continue to address development bottlenecks and help developing countries achieve growth in the G20; to continue to insist that as much as work is being done on non-proliferation, the issue of disarmament also requires progress and movement in the context of the alienable right of states to the peaceful uses of the atom. 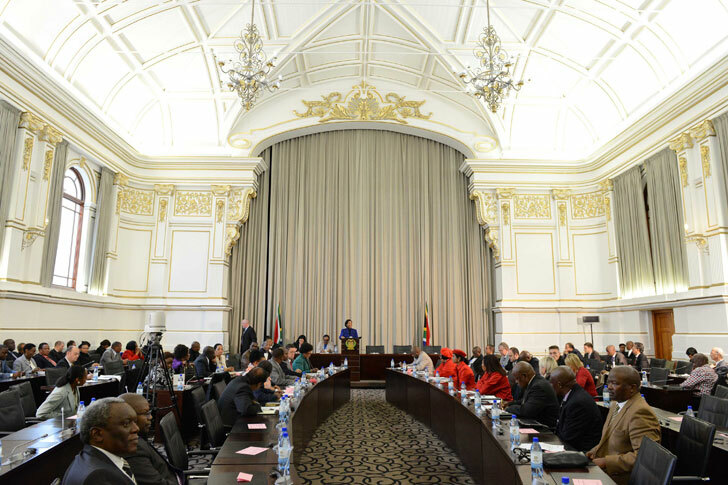 Our draft White Paper calls for a foreign policy based on the philosophy of Ubuntu. It was submitted to the Fourth Parliament and we trust it will be finalised by Honourable Members. The launch of the South African Council on International Relations, which will be our civil society sounding board on foreign policy, will be expedited. The National Development Plan enjoins us to strengthen our policy research capacity. This will be done, building on our existing policy research unit (PRAU). We must continue to reposition our Foreign Service for its alignment with the future we envisage for our foreign policy through capacity development and constant renewal of personnel. The department’s Branch: Diplomatic Training, Research and Development, that is responsible for training our diplomats, will be turned into a fully-fledged diplomatic academy in the next five years. Our existing internship and cadet programme will be consolidated into a Jonny Mkhatini Ubuntu Diplomatic Corps to improve its outcomes and impact. We will be tabling a Foreign Service Bill to create a single foreign service for the country in order to end the current fragmented Foreign Service system, leading to improved efficiency, cost-effectiveness and enhanced service delivery. DIRCO has obtained the required legal authority for the establishment of the South African Development Partnership Agency. The establishment of government’s first online radio station, Ubuntu Radio, by DIRCO has taken our public diplomacy to a higher level. In the next five years, we will work harder and utilise this platform as a source of Afro-centric foreign policy briefs. The public outreach that took us across many corners of our country during the previous administration will continue. It is important that our foreign policy is rooted among our people, enjoying the bipartisan support of all of us in Parliament.